﻿Polygon is delighted to announce that James Kelman has been shortlisted for the 2011 Man Booker International Prize, for the second time. Previously shortlisted for the Prize in 2009, James is a former winner of the Booker Prize in 1994 for his novel How Late it Was, How Late, which caused a storm of controversy. The full 2011 Man Booker International Prize shortlist is Wang Anyi, Rohinton Mistry, Juan Goytisolo, Philip Pullman, James Kelman, Philip Roth, Marilynne Robinson, Su Tong, John le Carré, Anne Tyler, Amin Maalouf, Dacia Maraini and David Malouf. John le Carré has withdrawn from shortlist saying he does not compete for literary prizes. The winner will be announced at the Sydney Writers' Festival on 18 May. The world is all-too familiar with the horrors of Nazi Germany, but barely a year before the outbreak of the Second World War there began an operation to try and save some of the youngest and most vulnerable of its potential victims. The Kindertransport, also know as the Refugee Children Movement, took nearly 10,000 predominantly Jewish children from Nazi Germany, Austria, Czechoslovakia, Poland and the Free City of Danzig by train to place them in British foster homes, hostels, and farms. Most of the children rescued survived the war and some were reunited with their families, but most never saw them again. Jake Wallis Simon’s new novel The English German Girl follows fifteen-year-old Rosa Klein as she leaves for England on a Kindertransport and tries to build a life which will bring her family safely out of Germany. As she struggles to even make herself understood in a foreign country, she begins to think that there are some promises that cannot be kept after all. Already being hailed by survivors of the Kindertransport and novelists alike, more information on The English German Girl, the Kindertransport and Jake Wallis Simons can be found at http://www.theenglishgermangirl.com/. The English German Girl by Jake Wallis Simons is published by Polygon on 14th April. Delete This At Your Peril! Last week was a cracker for press coverage at Birlinn books. 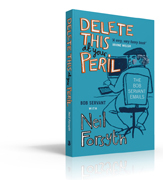 Neil Forsyth started it all with an interview on BBC Breakfast News on the subject of spam email and a great little plug for the hilarious Delete This At Your Peril (did you follow this on BBC Radio 4? VERY funny programme. Still on catch up if you hurry!). Six days of coverage for Alistair Moffat's the Scots: A Genetic Journey followed in the Scotsman and Scotland on Sunday; an interview with Alistair on BBC Radio 4’s the Today programme AND on STV’s The Hour; plus of course an episode of his radio programme based on the book on BBC Radio Scotland. And the unique and quite fabulous Alexander McCall Smith was on fine form with an exhausting schedule of events and interviews. 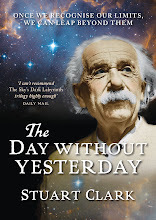 Monday saw Alexander with his publicist in Hexham for an event with Cogito Books. Tuesday was Newcastle for interviews and an event with North Words at the Tyneside Cinema. Wednesday was London and interviews followed by our annual event for Daunt Books in Marylebone High Street and dinner at the very nice Galvin Bistro de Luxe on Baker Street. Thursday morning took us to the BBC studios for Breakfast Television interview with the lovely Bill and Sian, then a lunchtime event for supporters of Pelican Post with the lovely Clemency Burton-Hill and a quick drive over to Bath for the Bath Festival and an event with Decca Aitkenhead. Friday was a signing in Bath at Toppings Books before a flight back to Edinburgh in time for a packed house at an event in St Mary’s Cathedral. We finished the week with an event and interviews in Glasgow for the Aye Write festival. All went incredibly well.